Rare alarm function with hammer and gong; alarm subdial set by button on crown. 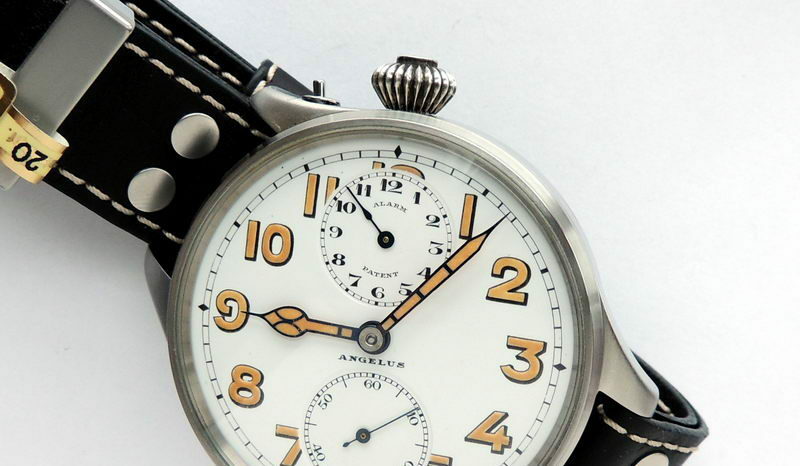 Dual barrel tandem wind high-grade movement with Geneva stripes. 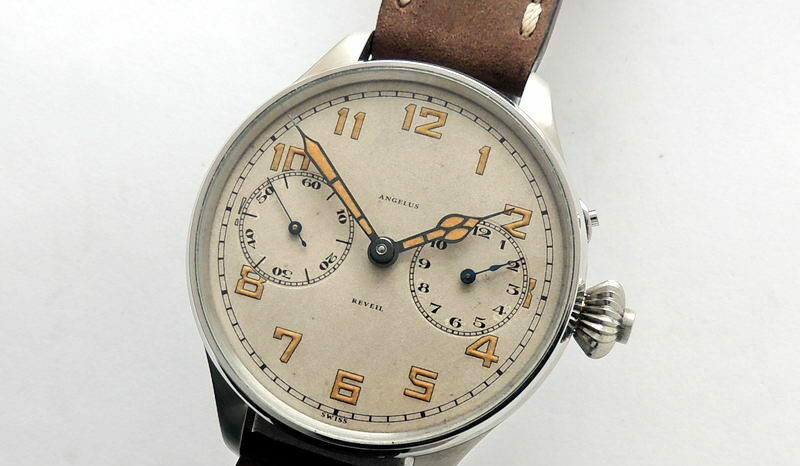 Military style refinished original dial, non-radium harmless luminous numerals and hands.